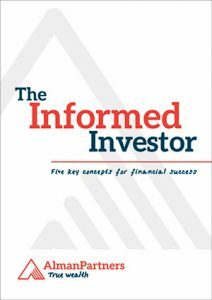 Click here for your FREE copy of The Informed Investor! Learn more about our 5 key concepts for financial success. Most traditional investment strategies are simply a series of short-term speculative bets strung together and called ‘investing’. Research has shown that these active-management strategies are generally promoted by overconfident fund managers, stockbrokers or property spruikers, who often place their interests ahead of yours. Minimising Risk – we implement “Asset Class Investment” portfolios for our clients and ourselves. It is founded on academic research, designed to capture every competitive edge we can in volatile markets. Broad diversification overcomes specific risk. In other words do not put all of your eggs in one basket. People are not wired for successful investing. Why? Because we are emotional beings. 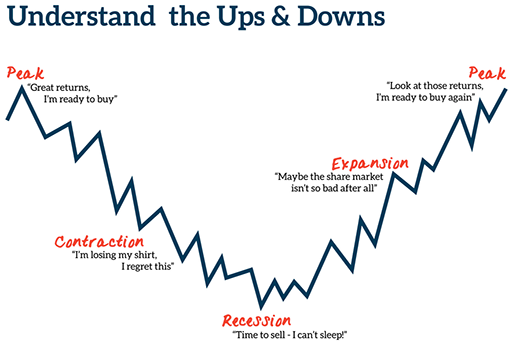 We want to buy when things are good, which generally means prices are high, and left to our own devices many panic and sell when things are volatile and the outlook looks bad. Innovations in financial markets research over the last fifty years, are the keystone of a belief system that guides Alman Partners’ approach to investing. Today, the investment industry takes for granted the calculation of rates of return, and the availability of comparative universes for professionally managed funds. But before the mid-1960s, there was neither a generally accepted way to calculate a total return, nor a way to compare the returns of different funds. This all changed with the advent of computers and the collection of data for mutual funds as well as for individual stocks and bonds. Rigorous testing by financial economists of that seminal era led to the development of asset pricing models to evaluate the risk/return characteristics of securities and portfolios. It also led to a theory of market efficiency, that suggested excess returns were only achievable by taking on above-market risk. Studies documenting the failure of active managers to outperform market indexes gave rise in the early 1970s to passively managed index funds that relied on capital markets as the source of investment returns. Further research and data compilation over several decades led to the identification of the multiple equity asset classes and risk dimensions that form the basis of Alman Partner’s strategies. Along with 9 like-minded firms across Australia and New Zealand, Alman Partners are members of the Asset Class Investor Group (ACIG). Through knowledge and experience sharing, this group of highly-skilled financial planning firms meet regularly to develop and implement the best strategies for their client base using the latest innovative market research. Asset Protection – Are you are risk?